A Book-Signing Event is a wonderful way to bring literature to life for children! 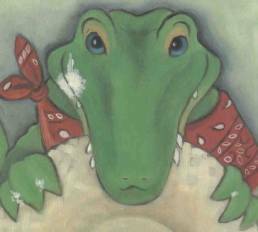 At this time, we have 2 published BAYOU TOWN picture storybooks available to students (and 1 story on tape) from the BAYOU TOWN series that Cherie has written for children ages pre-school through fourth grade. Children love the excitement of meeting Mr. Boudreaux and Alfons the alligator in person (puppet friends). To a child who loves to read, there is nothing more wonderful than having a book personally autographed by the author in a one-on-one meeting. Please read below to learn more about the event and how you can host this event for your students. 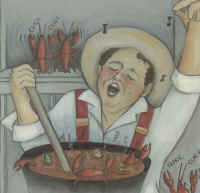 BAYOU TOWN Musical Puppet Theatre is a fun-filled, 30-minute, living storybook performance of "Welcome To Bayou Town!" Miss Cherie, the author/host, welcomes the audience to the unique Cajun village of Bayou Town through music, puppetry, and child-like humor. Alfons the alligator snatches Miss Cherie's hat and the Boudreaux family joins her in a rousing game of "Alligator-Keep-Away"! 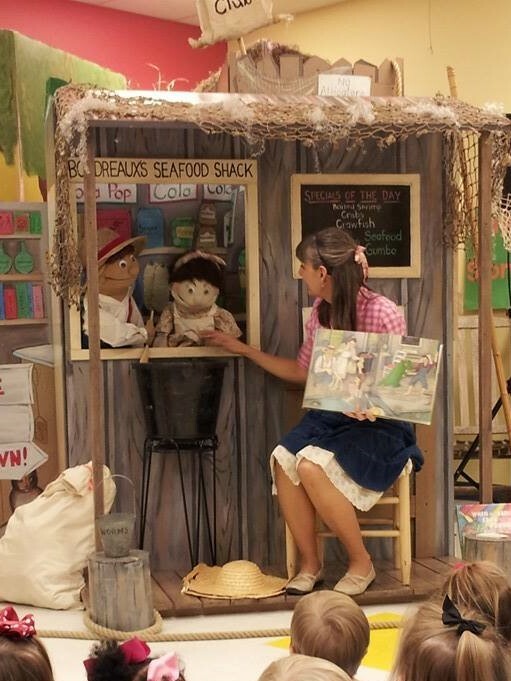 This 30-minute puppet presentation requires an 8' x 8' stage area in an air-conditioned room. This living storybook performance works very well combined with a book-signing event. Please call for performance cost. Book Signing and Meet the Author time for students purchasing books or tapes.